Phil Henry is a true entrepreneur being the owner/operator of numerous and varied business interests. Phil graduated from Cal Maritime where he received a BS in Marine Engineering, Commission in the US Navy, and a Merchant Marine Officer's license. He also holds multiple patents in the field of radio electronics. He started teaching young adults back in 1985 at Clark County Community College. 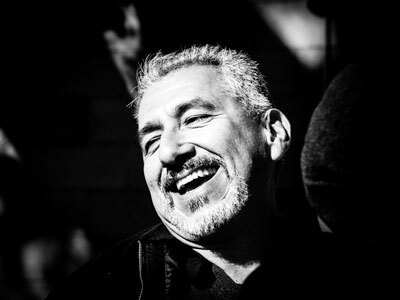 He has over 15 years experience as a personal growth facilitator working with both young adults and teens. For the past 7 years he has presented leadership training programs for JROTC cadets at high schools throughout the Southwest U.S. Phil is listed in Who's Who in America. Mark Linsenbardt has been a public speaker and trainer for over 20 years. Mark is also an internationally published author and a motivational speaker who has been delivering personal growth training for more than a decade. His fast paced and humorous style of delivery instantly captivates the participants of any audience and repeatedly creates moments of insight that leaves the participant truly thinking about the message. 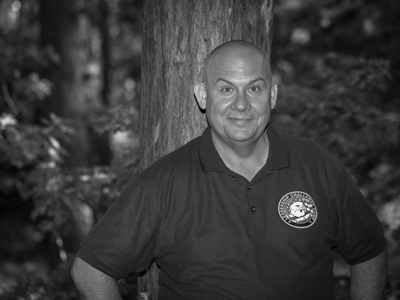 For the past seven years Mark has been working with JROTC cadets teaching leadership programs. Mark is a veteran of Desert Storm and served aboard the USS Midway. Kathy Henry is the owner of Leadership Challenge, LLC. She started this leadership training and personal growth program for teens back in 2003. In 2004 the focus of the company changed to JROTC Cadet Leadership Training. She is also serves as Camp Director. 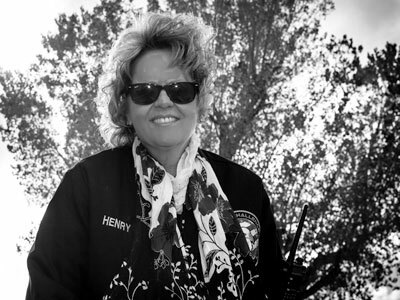 Formerly an employee of State of Nevada Welfare Department, she is familiar with the debilitating effects of poverty on our young people as they are starting out in life. She has seen how the wrong kind of leadership can emerge in this setting. Her goal is to provide positive leadership training to counter the attraction of gangs for our teens. She is our young ladies counselor at camp. Patrick Bentley earned his BS degree in Parks and Recreation, and an MS in Instructional Design from Utah State University. 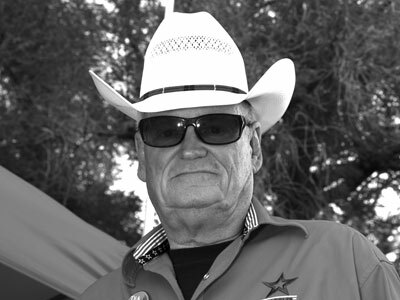 He was the former Commander of the Cache County Sheriff’s Search & Rescue Team and today is the High Angle Team Lead and certified Public Safety Diver and a member National Search & Rescue (NASAR). 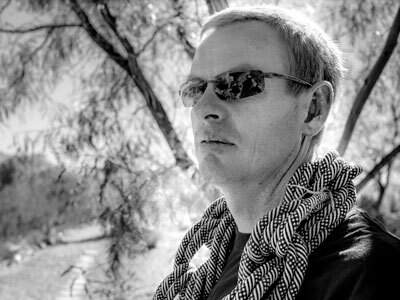 Patrick is a certified Utah Hunter Education Instructor and member of the NRA. 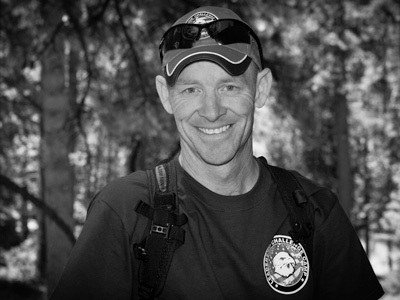 His qualifications to be our Safety Instructor include: Current Coordinator and Lead Facilitator for the USU Ropes Course, certified by the American Heart Association and American Red Cross in 1st aid-CPR-AED, member of the Association for Challenge Course Technology (ACCT). Patrick served in the US Marine Corps. Mario Maldonado received his Certification in Fire and Life Safety from Pennsylvania State University and has worked in the industry for over 20 years. During that time Mario has been affiliated with Big Brothers as a mentor to the same "Little" for 9 years. He has also been involved with the Boy Scouts of America for the past 3 years in a leadership role. Mario has over 11 years experience as a ropes facilitator with the Vision Network, and 5 years experience as a teen leadership facilitator with Leadership Challenge Camp. He is a certified ropes facilitator. 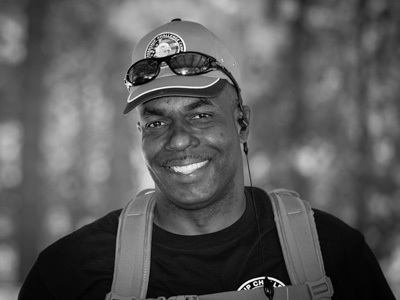 Freddie Jordan is a retired Marine Chief Warrant Officer 5, who served 30 years on active duty. Originally from Buffalo NY, he is currently a MCJROTC Senior Marine Instructor at Tolleson Union high school in Arizona. Chief Warrant Officer 5 Jordan has served in a variety of billets throughout his time in the Marine Corps such as Company Commander, Battery Executive Officer (during Operation Iraqi Freedom), Platoon Commander, Company 1stSgt and Company Gunnery Sergeant. Chief Warrant Officer 5 Jordan also served on a Joint Military Staff as the Senior U.S. Logistician in Regional Command North (Camp Marmal, Afghanistan) during Operation Enduring Freedom. Chief Warrant Officer 5 Jordan, possesses a Bachelors Degree (BS) in Business Management, a Masters Degree (M. Ed) in Secondary Education, an Education Specialists (Ed. S.) Degree in Organizational Leadership, and is currently working on his Doctorate Degree in Education. Jay Foote entered the Marine Corps on September 5th, 1983, and retired from active duty 23 years later on August 31st, 2006. During those dates, 1stSgt Foote served in a variety of locations around the world such as Japan, Korea, Kenya, Qatar, United Arab Emirates, Kuwait, Somalia, Saudi Arabia, and most recently in Iraq. 1stSgt Foote has also filled a variety of job billets such as a Formal Schools Instructor, NCO/SNCO School Instructor, Plt. Sgt for a Surveillance, Reconnaissance, and Intelligence Company, Company GySgt for a Combat Engineer Battalion, Senior and Chief Drill Instructor at MCRD, and as the Senior Enlisted Advisor for a Infantry Company in Iraq. After retirement, he was picked up as the Security Manager for Stonestreet Thoroughbred Holdings, LLC working executive protection and estate security for a Fortune 200 family in Lexington, KY until 2009. Jay currently serves as a Marine Instructor with the Marine Corps Junior Reserve Officer Training Corps at Basic High School in Henderson, NV after serving as a Drill Instructor in TX at the Marine Military Academy.